Nadir Afonso Rodrigues was born in Chaves on 4 December 1920. He was the son of the poet Artur Maria Afonso, from Montalegre, and of Palmira Rodrigues, born in Boticas, and brother of Lereno and Fátima. When he was born, his parents wanted to call him Orlando, but at the suggestion of a friend of his father's he was registered with a Persian and Hebrew name. Nadir means "rare" in Hebrew. At the young age of four, he painted an almost perfect circle in red on the walls of the family’s living-room, and at the age of fourteen he painted his first oil paintings. After completing secondary school in Chaves, he moved to Porto, in 1938, to enrol in the Painting course at the Porto Fine Arts School, but was then convinced by a school clerk to forget about Painting and choose Architecture instead, as it was more prestigious. However, he never lost his love for painting. Nadir continued to paint, and in 1940 he began to exhibit his work. In the following years, during his Surrealist period, he participated in all the exhibitions of the Group of Independents until 1946, in the 9th Modern Art Exhibition of the National Secretariat for information (1944), in Lisbon, and in the Aesthetic Mission of Évora (1945). In 1943, he wrote the first studies on the phenomenon of Optics, which had interested him for quite some time. Two years later, he sold the painting "A Ribeira" to the Museum of Contemporary Art of Lisbon, and then began his rainbow colour period. He settled in Paris in 1946, where he studied at the École des Beaux-Arts, on a scholarship granted by the French government, which he obtained through the Brazilian painter Portinari (1903-1962), and collaborated in the workshop of the famous architect Le Corbusier (pseudonym of Charles-Edouard Jeanneret-Gris, 1887-1965). In the following year, when he did not have to work at the architecture workshop he worked on his Baroque paintings at the workshop of French painter Fernand Léger (1881-1955). In 1948, he defended the thesis "Architecture is not an Art" at ESBAP, supervised by Le Corbusier, and began his Egyptian pictorial period. He settled in Normandy in 1949, where he helped rebuild cities that had been destroyed by World War II, and exhibited his work in Porto, at the Fantasia Gallery. In 1950, while still in France, he worked once again with Le Corbusier. In the following year, he moved from Europe to Brazil, where he worked with the architect Óscar Niemeyer (1907-), namely in the commemorations of the 4th Centenary of the city of S. Paulo. Four years later, he returned to Paris to paint, prepare architecture projects, research on kinetics and engage in innovative studies which he called "Espacillimité". 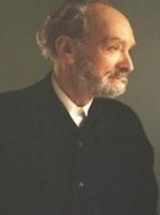 In the following years, he exhibited his work at the Denise René Gallery, at the Salon des Réalités Nouvelles, did some research work on aesthetics at the University of Paris (1956), and published the book "La Sensibilité Plastique" (1958); his paintings were also shown at the Maison des Beaux-Arts and Divulgação Gallery, in Porto, and he designed the plans for Bagnols-sur-Cèze, a town linked to the atomic centre of Marcoule, and Balata, in Martinica (1959), for the Greek architect Georges Candilis (1913-1995). In the 1960s, he worked in Architecture, in Chaves and Coimbra, prepared the plans for Agadir, for Candilis, and abandoned Architecture (1965). He exhibited his work at the SNI – national Secretariat for Information, in Lisbon (1961 and 1968), at the ESBAP (1963) and Cooperativa Árvore, in Porto (1966). He also represented Portugal at the Biennial of S. Paulo (1963 and 1969), received the National Painting Award (1967), received a scholarship from Calouste Gulbenkian Foundation in Paris (1968) and won the Amadeo de Souza-Cardoso Award (1969). In 1970, he published "Mécanismes de la Création Artistique", was the subject of a retrospective exhibition at the Centre Culturel Portugais of the Calouste Gulbenkian Foundation in Paris, repeated later at the Calouste Gulbenkian Foundation in Lisbon, and exhibited his work at the Centre de Culture TPN, in Neuchâtel, Switzerland. He travelled to the United States in 1974, participated in exhibitions in New York, and published "Aesthetic Synthesis". In 1983, he published "Le Sens de l'Art" and in 1996 produced the panels for the Restauradores metro station in Lisbon. In 16 January 2009, the project for the Nadir Afonso Foundation was presented to the public, in the auditorium of the Municipal Library of Chaves, following a project by Siza Vieira, located in the historical centre of this town, with a centre in Boticas – Art Centre – designed by the American architect Louise Braverman. Here, on 25 March, the President of the Republic was offered his most recent biography, written by Agostinho dos Santos, a book which was presented to the public at Serralves Museum, in Porto, and in Chiado Museum, in Lisbon. This book contains biographical data, paintings, drawings, photographs, comments by his second wife, Laura Afonso, and by the painter Júlio Resende, poems by his father and his son Artur, and a sociological review of his most important paintings, by Maria José de Magalhães, of the Faculty of Psychology and Education Science of the University of Porto. In 2010 there was a great exhibition of his work entitled "Nadir Afonso Sem Limites", curated by Adelaide Ginga, in Museu Nacional Soares dos Reis, in Porto, and in Museu Nacional de Arte Contemporânea do Chiado, in Lisbon. The Museum of the Presidency also dedicated him the exhibition "Absoluto 2010". Nadir's paintings are part of important museums in Portugal and abroad, namely in Lisbon, Porto, Amarante, Rio de Janeiro, S. Paulo, Budapest, Paris (Centre Georges Pompidou), Berlin and Wurzburg. An exhibition of his work entitled "As cidades no Homem" was held at the Portuguese Parliament a short while ago. In 2011 he was invited to illustrate the cover of the 147th anniversary of Diário de Notícias and in January 2012 was honoured at the S. João National Theatre, with the premiere of the film by Jorge Campos "Nadir Afonso - O Tempo não Existe", with the presentation of the book "Nadir Afonso conversa com Agostinho Santos" and with the photographic exhibition "Nadir Afonso - No Tempo e no Lugar" by Olívia da Silva. The plastic artist and thinker, who lived in Cascais with his family, died on december 11, 2013, at the age of 93.